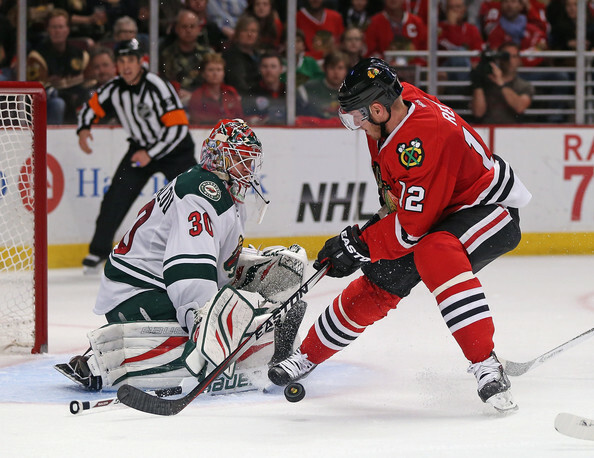 The Chicago Blackhawks have re-signed veteran center Peter Regin. The deal is reportedly worth $650,000 for one year. Regin, 28, had two goals and two assists in 14 regular season games and no points in five postseason contests for the Hawks after he was acquired in a mid-season trade last season. That’s the cap space. This deal signals that the only thing that will work is a one for one or one for many swap. Maybe Steeger or Oduya gets moved, but with TT, Moose, Nordy, and all the D prospects in the wings, there will be nothing to “replace them”. If any “BIG” move were to happen, it would include Leddy getting moved, cuz he would be the only piece of value that can be “replaced”… but I DOUBT that happens. Hawks are LOADED with mid level talent at bargain prices. I think this is a better deal for the Hawks than for Regin. I am sure Regin wants to play, make some impact and get a better deal next year. The downside for Regin is….well, alot if he doesn’t play much. Whoever was putting out the Penguins 2.0 thoughts may be on to something. I look at this forward mix and a see a screaming need for ruggedness and a Center. I see what has developed in Anaheim, St Louis and Dallas and gulp. I look at the salary cap number and am sobered. RTF agreed. Love the team but we are now the Central is absolutely the black and blue division. There is still time and some players available BUT the Hawks are going to have to part ways with some pieces to get tougher. Good thing we have a number of ready or almost ready soldiers when some injuries pile up. Hossa/Sharp would be a solid 2 on lots of teams… Heck… Saad could contend for a top 3 spot on lot of teams… While we may not be gritty or big… thats not our game. A commitment to team D, is all that this team needs. Play together and limit the other teams chances and we win. This roster will score 3+ a game… CC is good for a GAA under 3. While I feel i’m in the minority right now, I like our odds. Tim, agreed the Hawks cannot go big and rugged based on how they are currently constructed…they need to go with team D and puck control. We have to focus on players or prospects who can do that. It is really a matter of opinion on what will work…obviously both styles can win (Kings…Blackhawks). Tim, Peter, most agree with that. Hawks are not a physical team. May be a little less so now without Bollig. I am not worried about this from a winning sense. I only worry that in a division of physical teams we could get worn down in the second half. That is where all of these soldiers we are signing fit in. No need to panic – this is still great team with the quality prospects ready in 1-2 years. Hope Kayes will sign in Chicago after all, I guess it is a type of player needed on the roster. Should be able to crack 4th line in rotation with Morin and Regin, maybe also could compete with Versteeg for 3rd line spot. Would start Teravainen and Nordstrom in Rockford to play top minutes and wait for their chance in case of injury. Tim G – I agree with you, “A commitment to team D, is all that this team needs” – well, that, and improved PP & PK wouldn’t hurt, and if Sharp can get rid of whatever was dragging him into near uselessness during the playoffs. I think a few West Conference teams made good moves / maybe improved. Thinking we should count ourselves lucky by sitting on the sidelines….in a few days the remaining players will be sweating it out and then perhaps we go bargain hunting. Others have likely improved, but its still a roll of the dice and there may be regrets. Todays actions are a response to us and the Kings…they have to catch up….it makes our game a bit more difficult but thats whats its all about. Calgary, Edmonton, St. Louis, Dallas, Colorado all addressed issues today and will bring more to their game. If it were my choice, I’d move Versteeg (late round pick/keep none of his salary), Oduya (like him, but could bring a good pick in return? ), and Rozsival (if anyone would take him…see Versteeg above). Now that Regin has been re-signed there is only one order of business remaining – to decide on the parade route. Should we go the 2010 route of the 2013 route or try something new? I’d rather wait a bit – if Versteeg will bounce back, 2,2 mil. will not be a bad deal. Oduya is also worth 3,375 mil. more or less, or would you rather have Mark Fayne for 3,625 mil., Deryk Engelland for 2,9 mil. or Brooks Orpik for 5,5 mil. on long term deals? 1. The Hawks are entering a “down” period within a grander period of glory. 2014-15 is going to be a lot like 2010-11 and 2011-12 in this regard I’m afraid. Honestly, we are a middle of the pack playoff team next season. Could we get to the Finals? 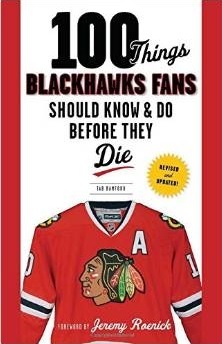 Sure we could given the continuing presence of people like Toews, Kane and Keith. But is that probable? No, it’s not. Not next season at least. 2. We had a screaming need at Center this offseason that has been signficantly compounded in light of the improvements made to Anaheim, Dallas, St. Louis and Minnesota. And lest we forget LA. 3. The Hawks don’t have enough ruggedness or size in the forward mix right now, and to me that is going to be a critical problem. Before the idiot brigade chimes in, I’m NOT talking about size for size sake or for goon sake. But bottom line we are going to physically whipped on the ice by teams in the WC in ways that are concerning. It’s one thing to have as its strategic strength elite playmakers and athletcism, but guess what you still need to find a way to match up with the like of LA, St. Louis and Minnesota in other very important regards. 4. The Hawks, out of apparent necessity given a current unwillingness to make a substantial trade of somebody like a Sharp, are investing an enormous amount of faith in Teuvo (or maybe Danault) becoming the real deal. I understand Bowman has no choice in the matter and could never chase Statsny, Kesler, Spezza because of the money…but he COULD have moved Sharp and some other pieces to clear space for a big time Center if he REALLY wanted to. So that tells me two things…Stan is handcuffed, and Stan is unwilling to look for the keys to take the handcuffs off and do something…meaning a LOT of faith being placed on Teuvo, et al. Moonshiner – I don’t see Versteeg bouncing back (and, it’s not just an injury – the guy lapses into stupid play a little too often). I *like* Oduya, but he’s an “attractive” asset contract/etc. – if they can get a good pick in next year’s draft do it…and, the Hawks have young d-men “ready” or close. But, it’s not my call >> maybe Stan has something in the works? 77.372 cap space with Johns as the most expensive from almost ready DMen (Johns, Clendening, Dahlbeck). If I were the GM of an NHL team NOT Chicago, based on this season, I would not trade for Versteeg or Rozsival. OK, if it was an absolute need (for a “journeyman” or “body”), I’d offer a 7th round pick. Just MY opinion. What is the status of one Kevin Hayes? Why has he become so tough to sign? He’s a natural center, and I hear he’s got a lot of talent, …. buehler? buehler? buehler? we probably trade a mid-range prospect with Rozy for something like that to get it done. We have until whatever the day in Oct. is to be under cap. I think we can be 6.9m over until then/during the summer.